Incredibly quaint stone creek cottage perfectly placed on 3.51 acres with over 500 feet of Bear Creek frontage. Bound with character and charm, this cozy 3 bedroom, 3 bathroom cottage was tastefully renovated and features many accents such as 100 year old hand hewed log beams, wide plank hardwood floors, two glowing fireplaces, tumbled travertine & marble floors, stainless steel appliances, farm sink, tray ceilings and an abundance of outdoor living. 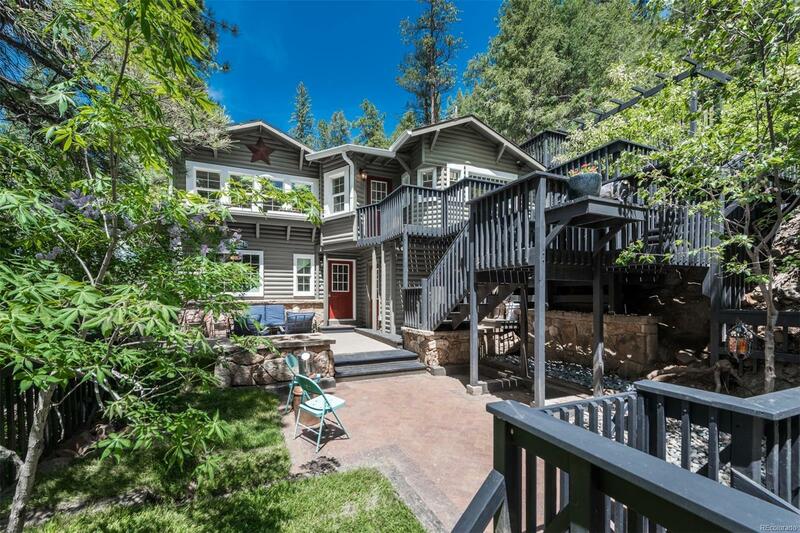 Serenity surrounds with incredible teared landscaping, towering pine trees and a babbling creek accentuating this ideal and peaceful location. Imagine fishing just outside your front door.